I’m in full comfort food mode now that October is almost over, although the Southern California weather is still pushing 100 degrees. It doesn’t matter to me though because anytime is good for a huge bowl of Italian Sausage Rigatoni, whether it’s hot or cold outside! This pasta dish is really easy to make and as much as I know how easy it can be to just buy a jar of sauce from the store, the satisfaction you’ll get when you taste this sauce will make you think twice about buying sauce ever again. Start with a can of good tomatoes, that’s your base and the foundation for this sauce. 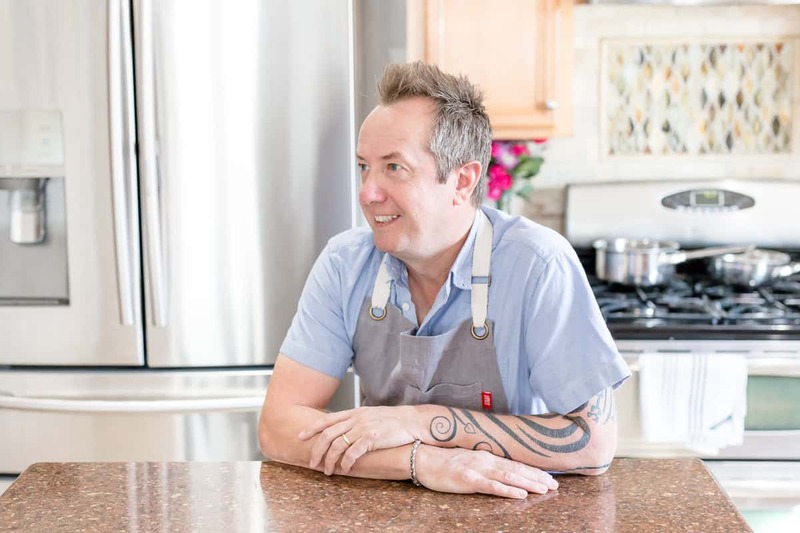 I like to use Italian plum tomatoes and crush them in my hand before adding them to the pot, be very careful if you do this though because they have a bad habit of exploding and I’ve had to say bye bye to a few shirts because of big red tomato stains. You could say this sauce has a secret ingredient. 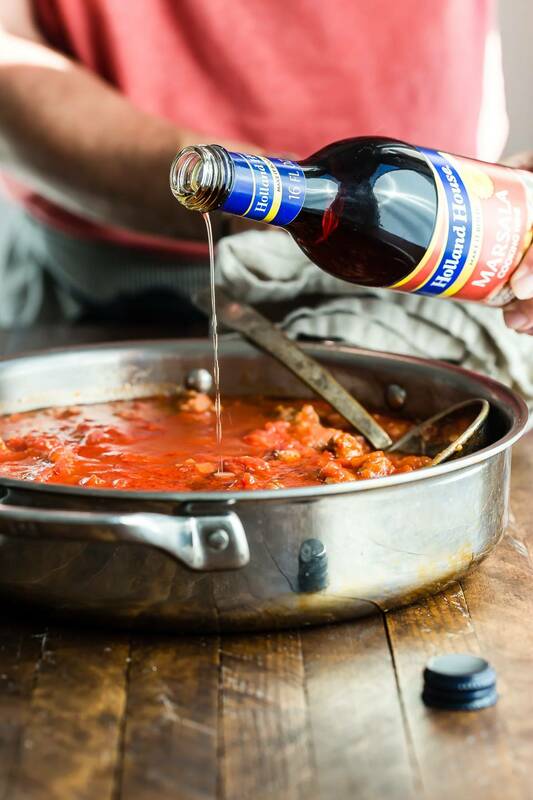 I always like to add some red wine to my pasta sauce because of the richness it adds to the flavor, but this time I switched the wine for some Holland House Marsala Cooking Wine and I was well impressed by the result. The choice of pasta is up to you. I almost went with traditional spaghetti because that’s my kids’ favorite, although any pasta is always a winner with them. But I decided to use Rigatoni just because those big thick tubes are great for holding lots of sauce. 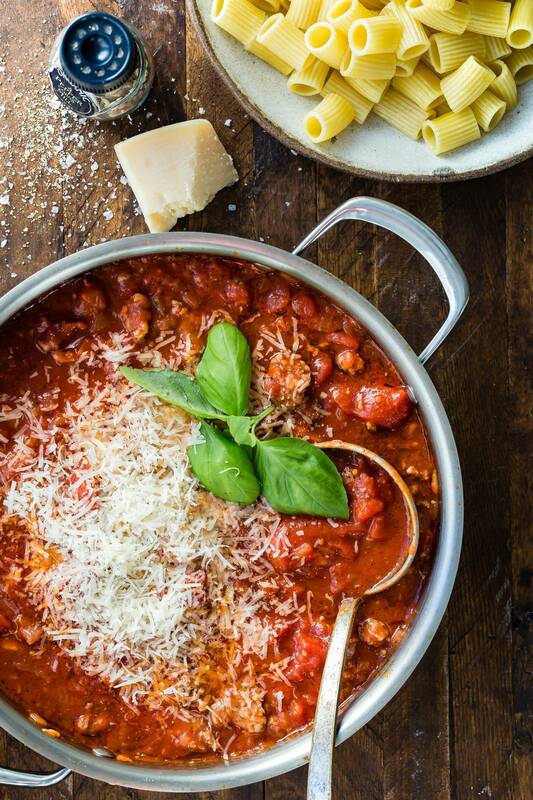 Don’t forget to be generous with the grated Parmesan cheese and fresh basil because Parmesan is everything to tomato sauce. I’d also serve with a side of super melted cheesy garlic bread for the perfect and easy family style dinner! 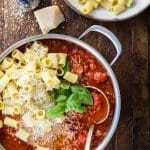 A delicious rigatoni dish that both of my kids absolutely adore! 1 16oz box dried Rigatoni pasta shells. 1 onion small ad diced. peeled onion small and diced. 2 whole garlic cloves, minced. Cook the pasta and drain. Set aside. Heat the oil in a large pan. Slice the sausages into thin circles and add to the onion along with the garlic and chili flakes. Cook over a med-high heat until the sausage is cooked through. Add the tomatoes, tomato paste and Holland House Marsala Cooking Wine and bring to a simmer. Simmer for about 30 minutes and then add the pasta making sure to stir all the way through. Pasta is perfect for EVERY season!! I’m all for this! I love all the Pasta dishes. 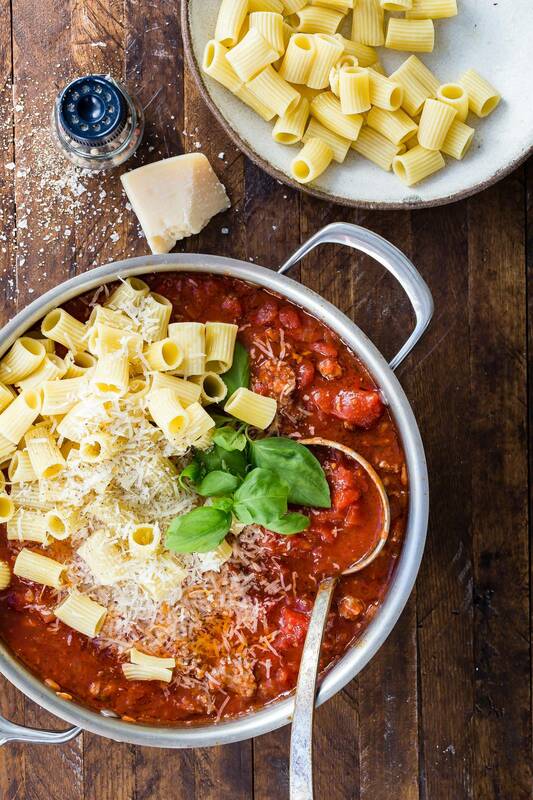 I will definitely try making this Italian Sausage Rigatoni. Thanks for sharing this awesome recipe. This sauce looks so flavorful and delicious! Can’t wait to try it on gluten free pasta! I love a good pasta meal! This looks like tomorrow’s dinner for me! 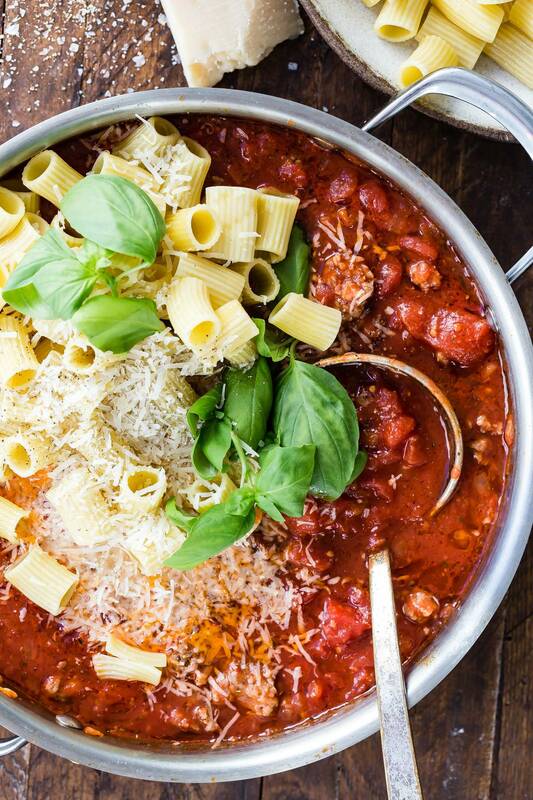 Put fresh basil in ALL THE THINGS! It’s the only way to go. I am a sucker for ANYTHING with Italian sausage! My family is gonna love this dish! Went right on our meal plan for this coming week! Total comfort food! Love the sausage in there for extra flavor!